A nice rich textured Chardonnay that will feature in my Irish Times online piece this Wednesday. €15 a bottle in Molloys. Brilliant pure citrus and minerals in a thrilling wine. €22ish from Cabot & Co and Grapevine Dalkey. V firm mineral and tightly bound piquant dark cherry fruits – I reckon this needs decanting or a year or two in bottle. All there though. 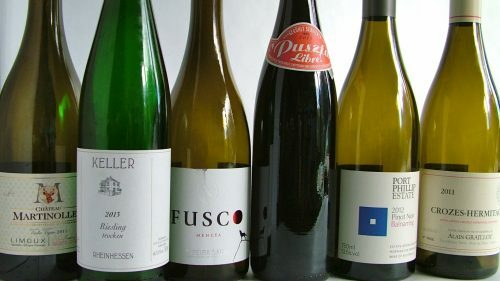 The internet tells me, through my very unreliable German, that this is Austria’s answer to Beaujolais. Made from Zweigelt and Sankt Laurent, it should be drunk like a white wine, cold, without thinking. I did so, and it was a delicious mouthful of crunchy ripe plum fruits. Not sure as to price, but this is right up my street. Perfect with the Sunday evening roast chicken. A vivid seductive wine that improved as the evening went on. Light in style, with piquant dark cherry fruits and a nice savoury bite. I paid around €30 for this in Mitchell & Son. I was a bit disappointed; this is usually a lovely wine. It had light citrus and lean apple fruits, but I was hoping for a little more. Now I have an excuse to buy another bottle.